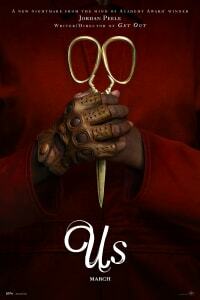 US, the second film written and directed by Oscar®-winner Jordan Peele, arrives on March 22. 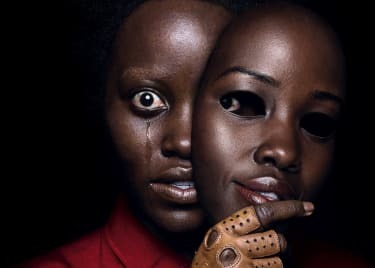 As with his zeitgeist-seizing GET OUT, Peele is working with a tremendous cast: Lupita Nyong’o (THE LAST JEDI), Winston Duke (BLACK PANTHER), Yahya Abdul-Mateen II (AQUAMAN), Elisabeth Moss (“The Handmaid’s Tale”) and fellow comedian Tim Heidecker (BRIDESMAIDS). Even better, Peele is deepening his approach to horror. GET OUT turned recognizable and familiar elements — a picnic, a weekend getaway, time with family — into something cracked and horrific. US turns the very characters themselves into agents of terror. Here’s why we have an elemental fear of the doppelgänger and why we’re dying to see US. 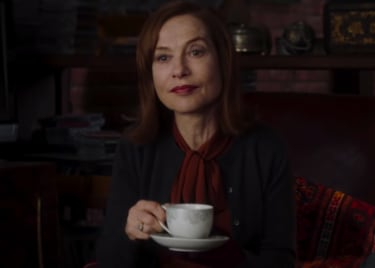 In GET OUT, Chris (Daniel Kaluuya) thought he was going to spend a potentially awkward weekend meeting the parents of his girlfriend, Rose (Allison Williams). Instead, he wound up nearly getting his body hijacked by the family’s cult of aging white people who covet black bodies. In US, the Wilson family (Nyong’o, Duke, and child actors Evan Alex and Shahadi Wright Joseph) were planning to enjoy a beachside vacation. That was before they found themselves face to face with their family’s sinister doubles. The Wilsons aren’t just facing a band of murderous creeps — they’re facing a band of murderous creeps who are wearing their bodies. What conclusion would you come to if you saw your double, in red, wearing a strange expression? The doppelgänger is the old legend of the evil twin, or a “twin stranger” — someone who is you, but at the same time is not. In US, Jordan Peele and the faux-Wilson family in red tap into a deep and primal terror. To begin with, individual performances make them disturbing. Nyong’o, for example, has an evil laugh for the ages. Beyond that, the very concept of the doppelgänger is the stuff of nightmares. You don’t know what they want or where they came from. You don’t even know what the doppelgänger is. These doubles can be incarnations of paths you didn’t take in your own life. A good example is the various incarnations of Grace Park’s Cylon character in the mid-2000s’ “Battlestar Galactica.” Or the twins can be what you look like to yourself without the comfort of self-assurance or self-delusion. Keanu Reeves played that perfectly in A SCANNER DARKLY. He was both cop and drug dealer, so severely dissociated from his life that he didn’t realize he had himself under surveillance. Or the so-called “twin stranger” may be a depraved parody of you, cheerfully causing chaos in your life. That happened to Madeline Brewer’s Alice in CAM and, in a sense, to Lakeith Stanfield’s, Marcus Henderson’s and Betty Gabriel’s characters in GET OUT. May We Borrow Your Face? Doppelgängers violate your sense of self. Unlike a twin, who is a distinct person separate from you, a doppelgänger is a warped version of yourself. However they come to exist, they inspire hopelessness and dread. Because even if the creature is ultimately stopped or destroyed, they can do a whole lot of damage beforehand — and all of it will be done with your face. If you’re a fan of the long-running manga and anime franchise DRAGON BALL, consider the villainy of Goku Black. He’s the would-be god whose war on mortal life so traumatizes Trunks that when Trunks meets the real Goku, he attacks him on instinct, even though the other man has been his friend and ally. Then, there’s TERMINATOR 2, when Robert Patrick’s liquid metal T-1000 takes the form of Linda Hamilton’s character, Sarah Connor. He tries to murder her son, John (Edward Furlong), who is left caught between his mother and his would-be murderer. That’s not just a trick; it’s a crime against nature. Wicked doppelgängers wreak havoc on our lives while wearing our faces. They’re deeply, truly frightening. 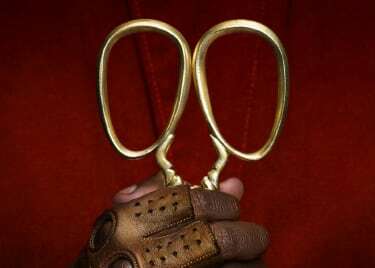 Leave it to Jordan Peele to make us incredibly excited to see the ones he created. US comes to AMC theatres on March 22.